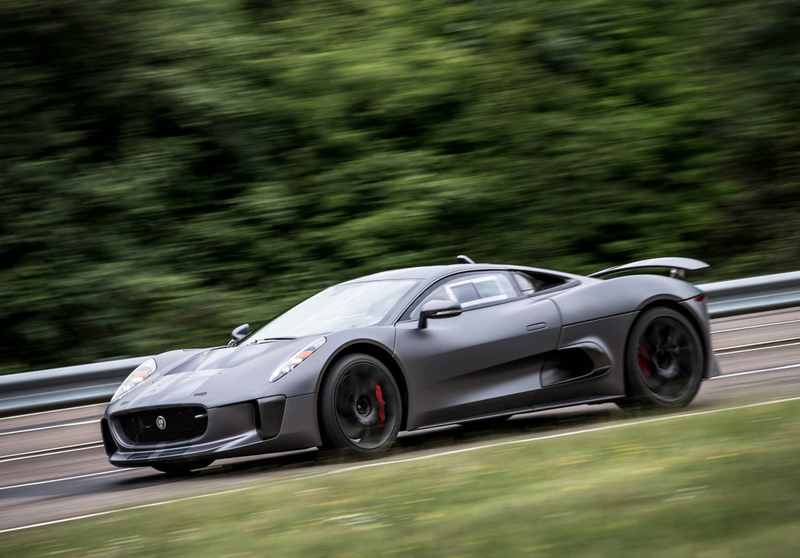 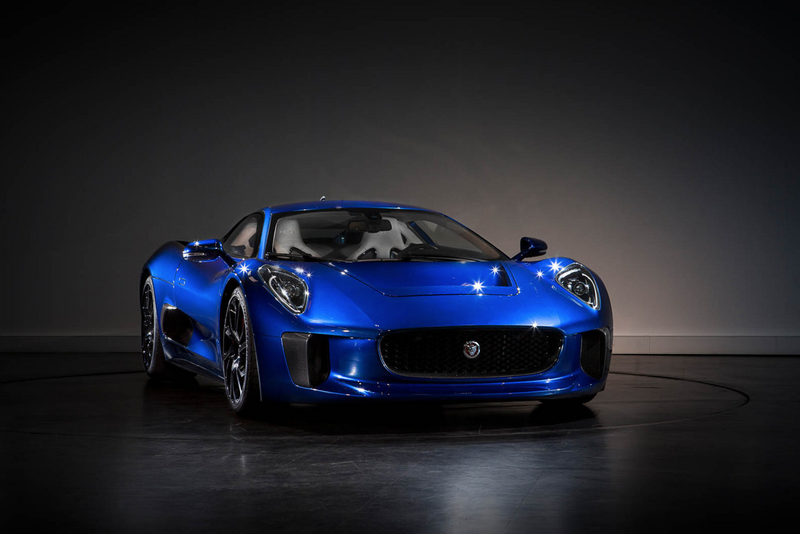 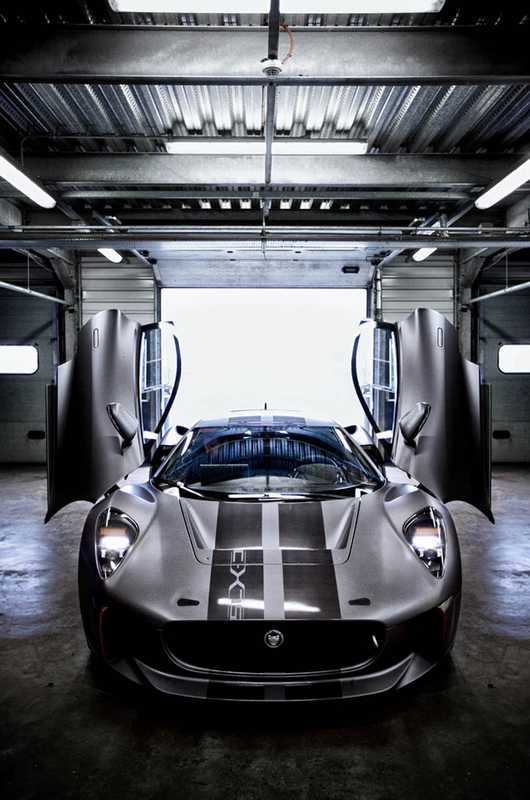 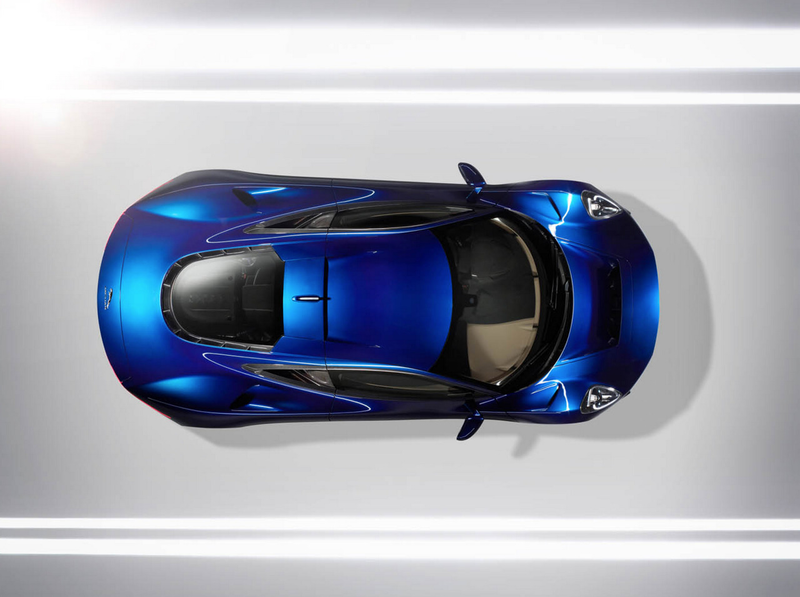 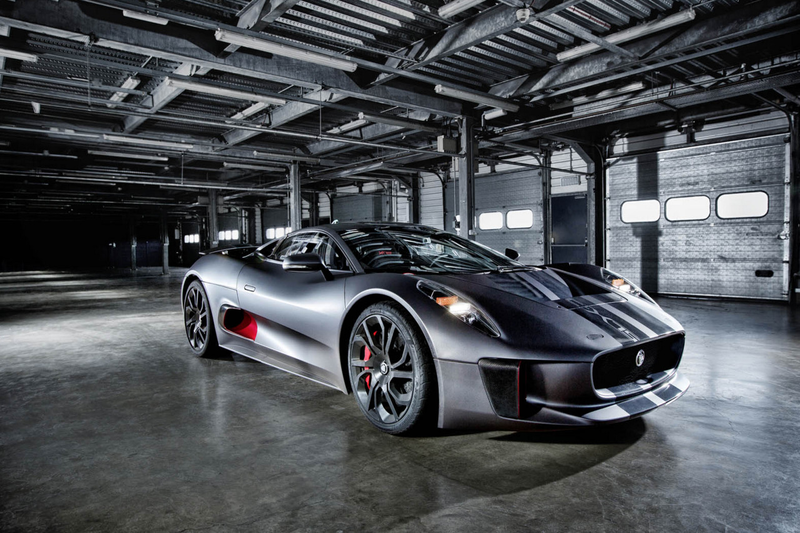 The hybrid Jaguar C-X75 was supposed to go on sale this year - alongside the Porsche 918 Spyder, McLaren P1 and Ferrari LaFerrari - forming the fourth member of the greatest hypercar battle of all time. 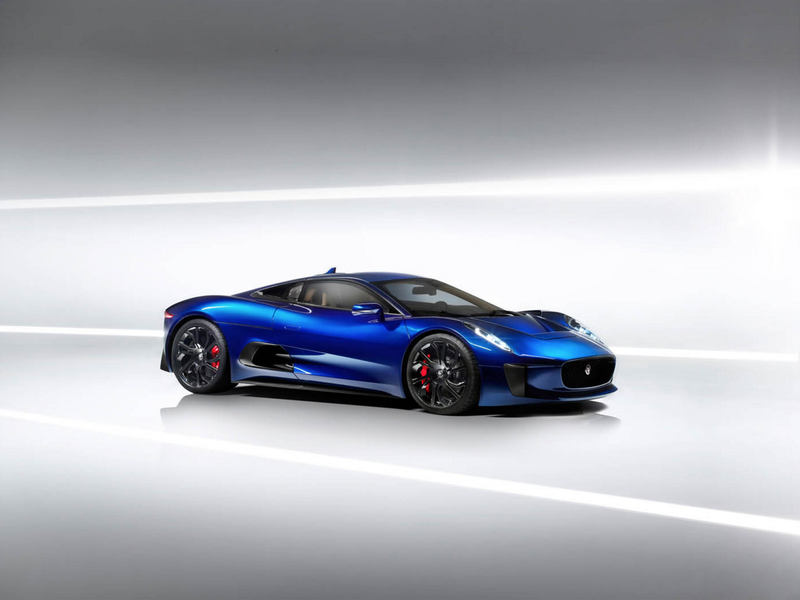 But back in December last year Jaguar pulled the plug, blaming economic conditions for the U-turn. 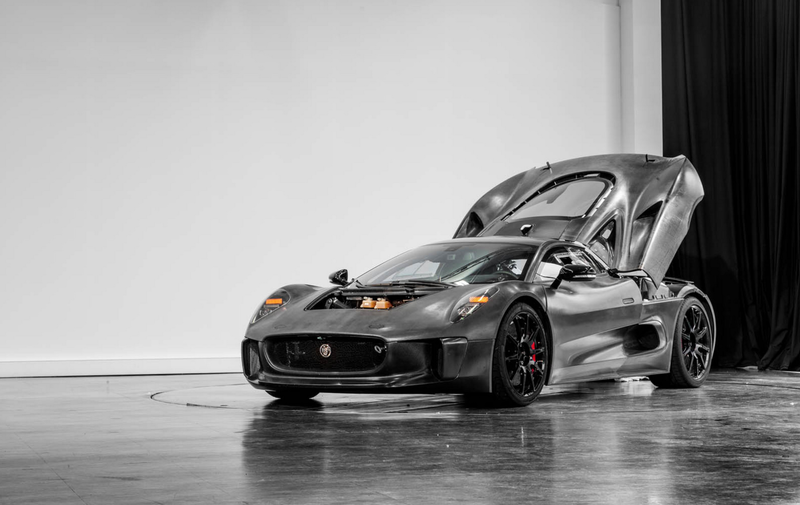 But the project wasn’t ditched altogether; five prototypes continued their development, and now that process has come to an end and we have been invited to take a drive and experience first hand what might have been. 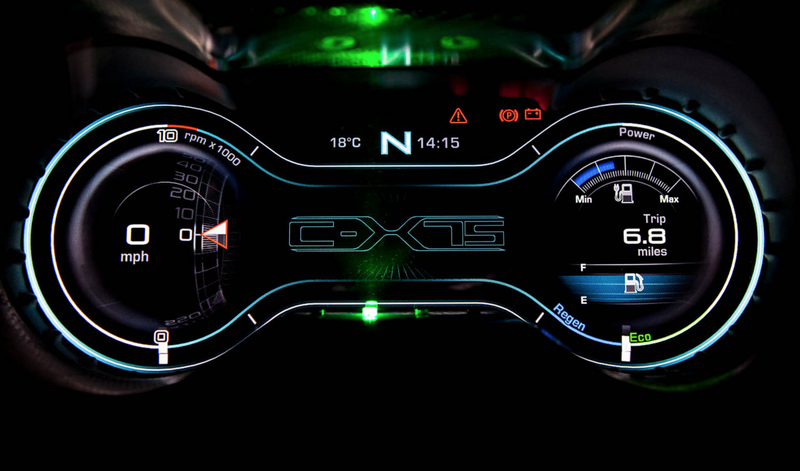 To get your head around what a stunning technical achievement the C-X75 is here is a simple set of numbers that the whole team were given as targets: The finished prototype had to match the performance stats of a Bugatti Veyron, emit less C02 than a Toyota Prius and an electric-only range that's identical to a Chevrolet Volt, all while sticking as closely as possible to the gorgeous design of the concept car. 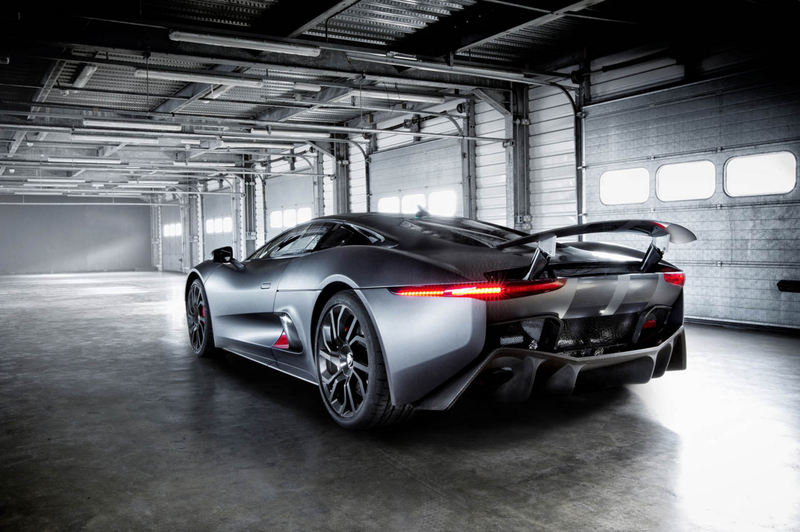 The last time Jaguar transformed a wild concept into a road car was with the XJ220 back in 1992, and the C-X75 shares the same 220mph top speed - but that's where the similarities end. 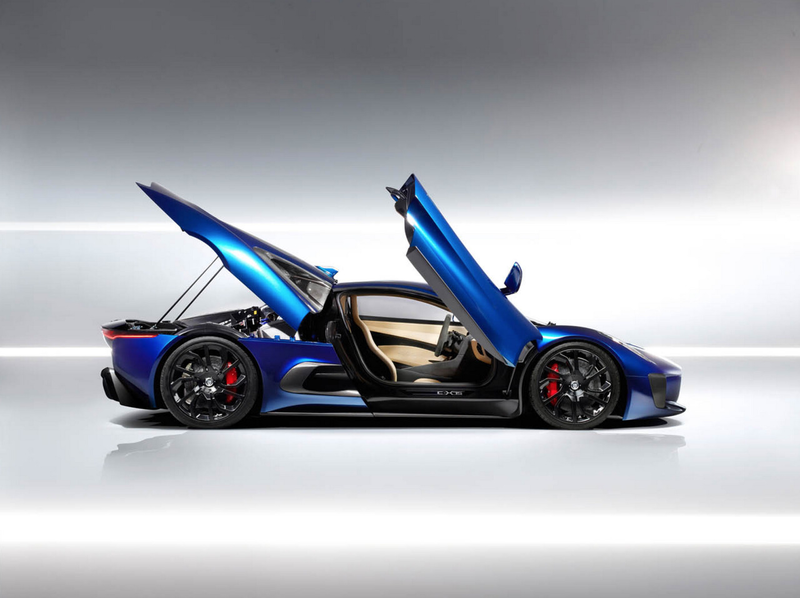 Crammed into the narrow gap between the bulkhead and the rear wheels is a 1.6-litre four-cylinder petrol engine that produces a staggering 502bhp thanks to a combination of a twin-scroll supercharger and a gigantic turbo. 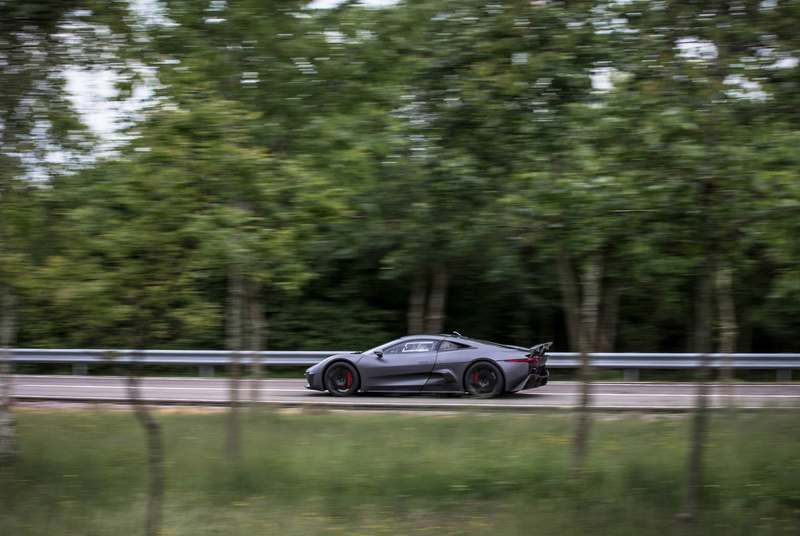 When combined with the two electric motors – one at each axle – that add another 390bhp into the mix, the final performance figures are 880bhp and 1,000Nm. 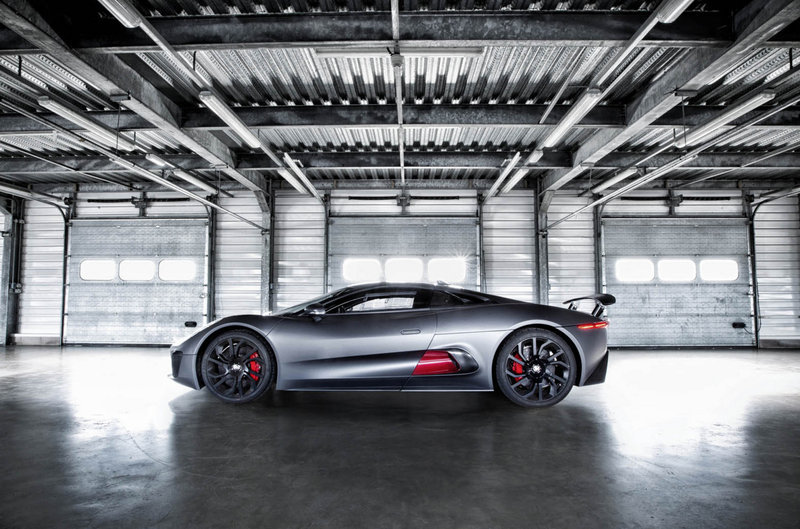 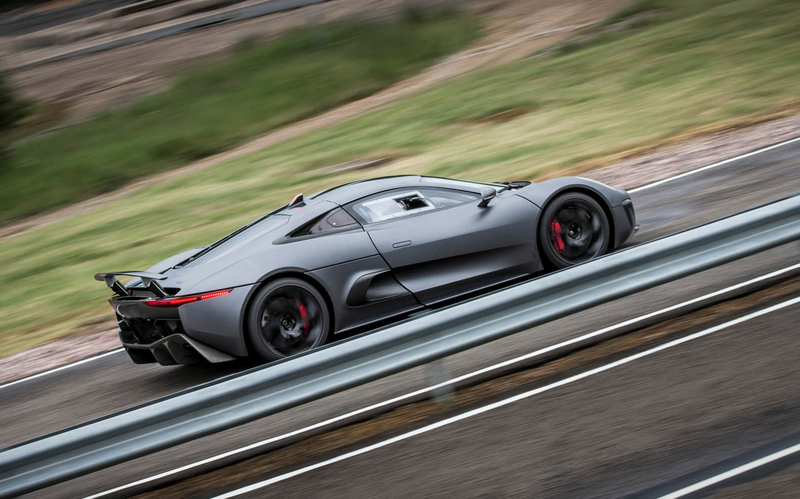 Few - if any – cars can accelerate with the same ferocity as the C-X75 can. 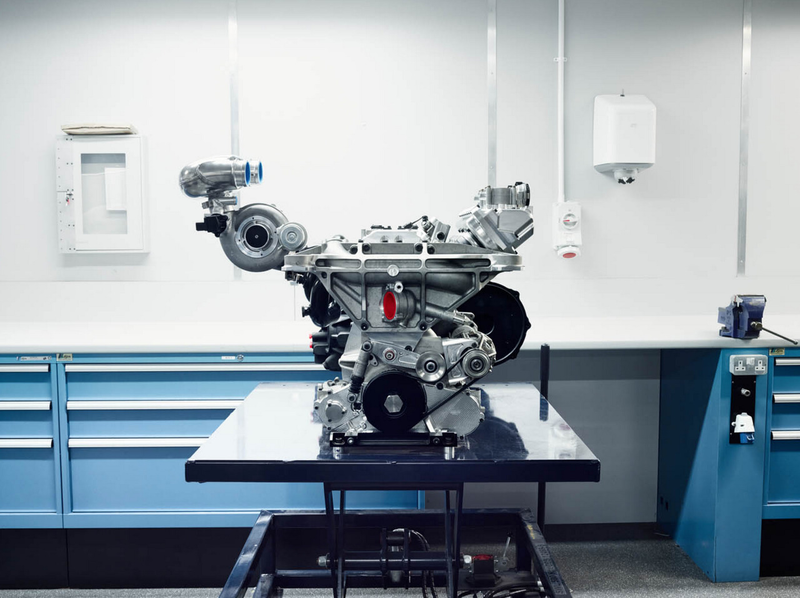 The engineers claim it will pull 1G on a dry surface and the tiny engine growls fiercely (more like a V8 than a four-cylinder) at low speeds before erupting into a bona fide racing car howl once it revs past 7,000rpm. 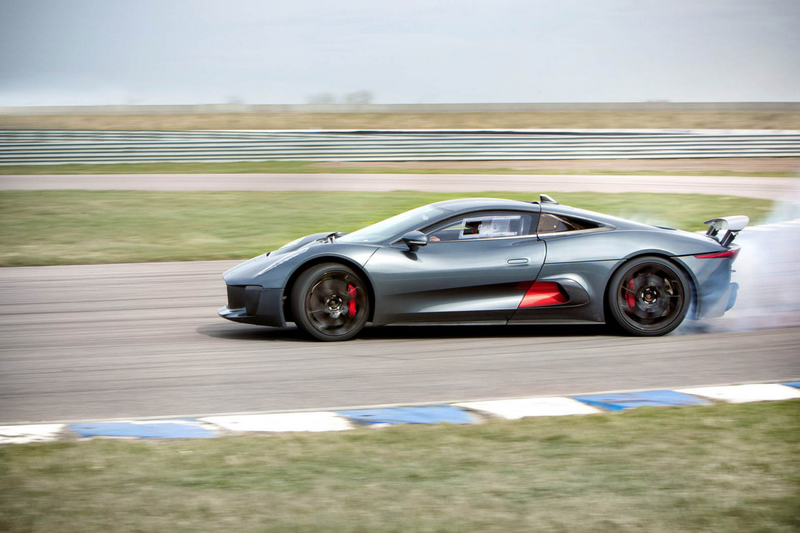 Fortunately for us, drive is sent to all-four wheels and it felt incredibly stable even when we hit an indicated 194mph on the straight. 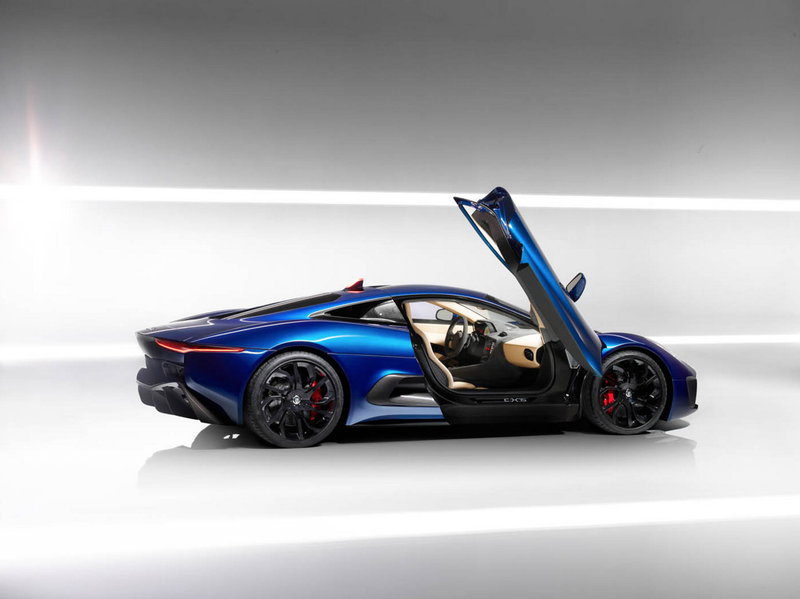 Drive is sent to the rear wheels through a seven-speed automated manual gearbox, while the front wheels are powered by their own separate electric motor. 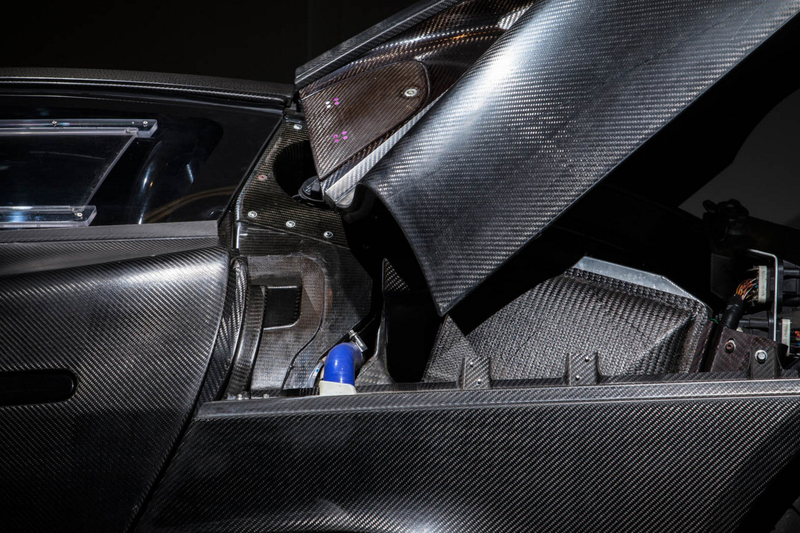 In normal driving 70 per cent of the torque is sent to the rear, but there is no mechanical link between the two and there is so much tech packed behind the driver that the fuel tank sits under the centre console. 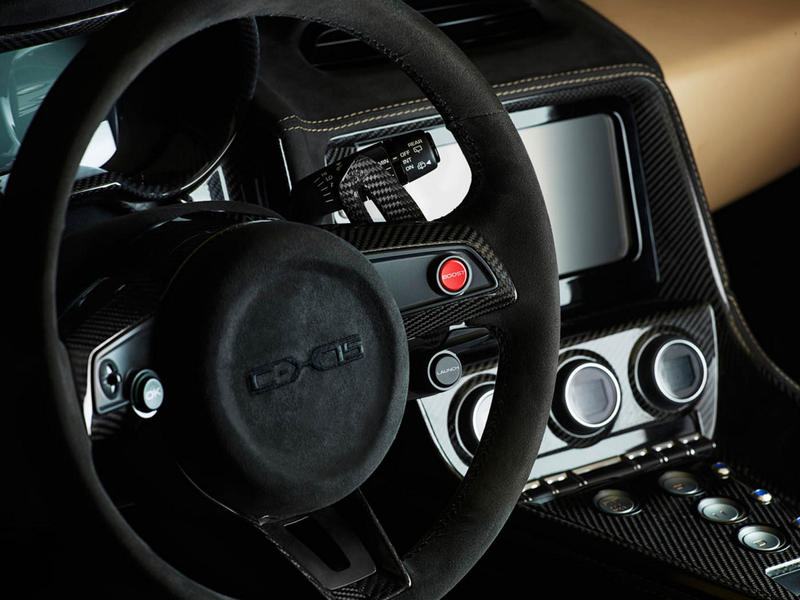 Pull the paddles on the steering wheel back and the gear changes slam home in less than 200 milliseconds, jerking your head back and adding to the raucous nature of the powertrain. 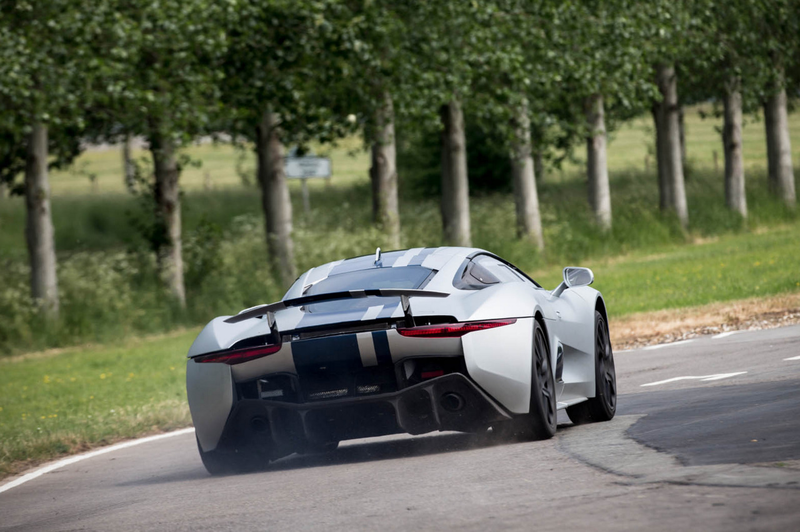 In other areas, though, the C-X75 feels amazingly finished for a prototype. 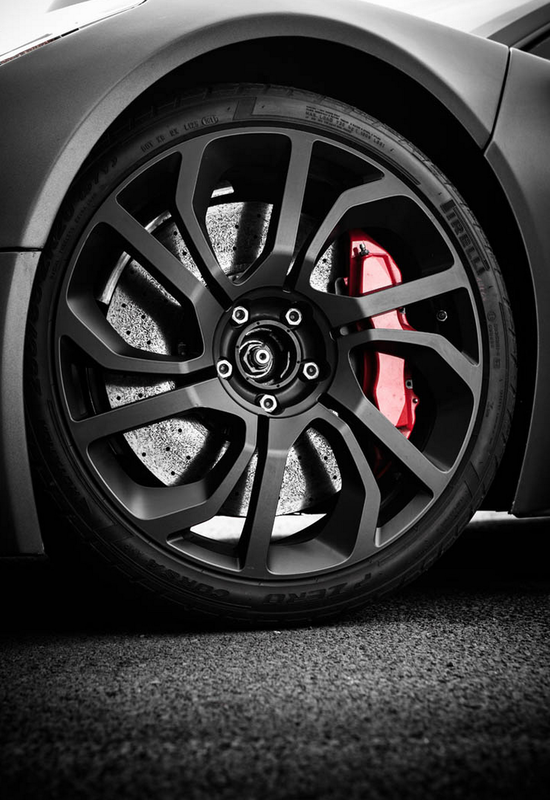 The light steering has great natural feel through the rim and allows you to place the two-metre-wide carbon-fibre body with relative ease, while the ride is impressively supple despite the 21-inch wheels. 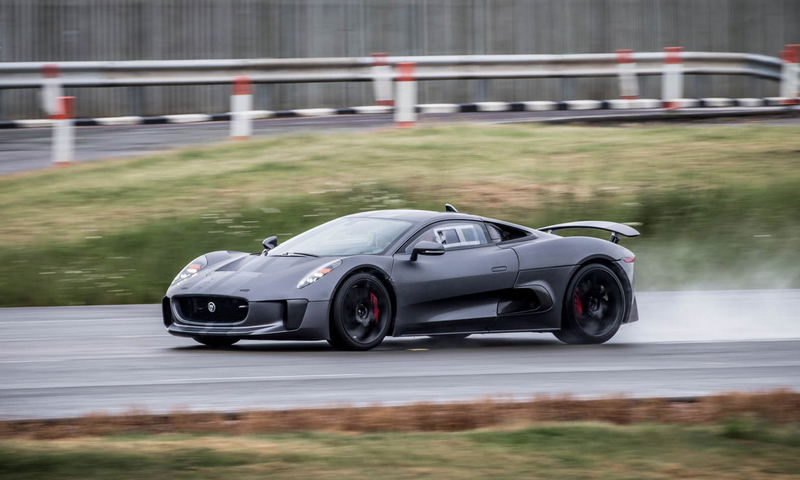 Simply put, it still feels like a proper Jag. 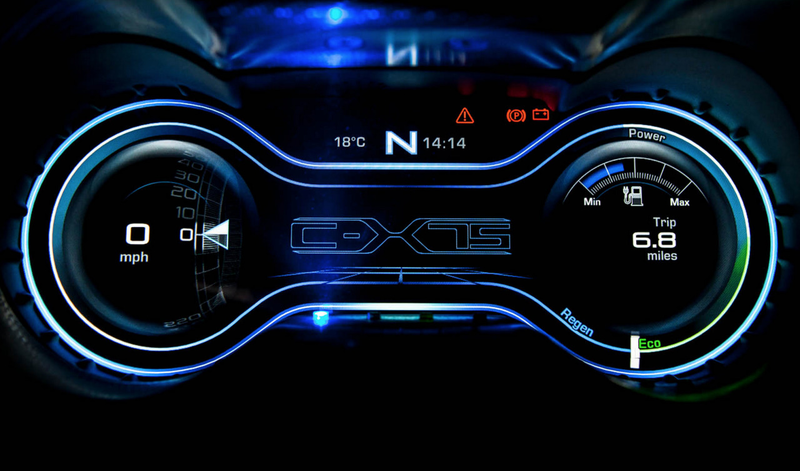 Yet the performance and handling capabilities are only half the story and there’s a pure electric mode, too. 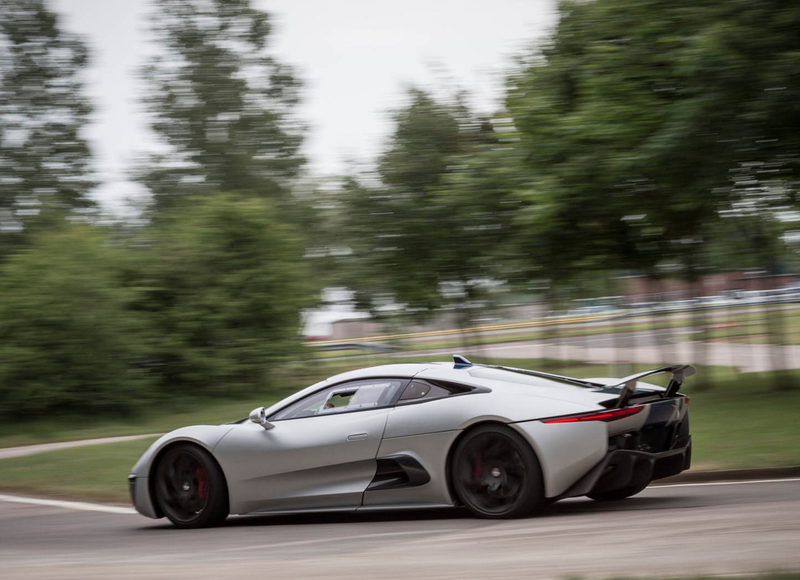 The claimed CO2 emissions of only 89g/km are an incredible achievement, while the combination of an incredibly powerful pair of lithium-ion battery packs and those electric motors mean the C-X75 is just as impressive during silent running. 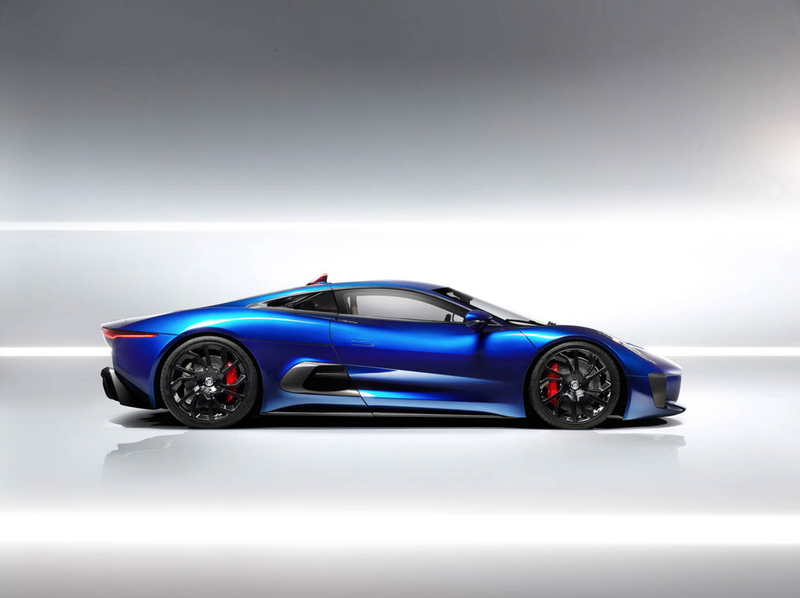 Top speed is capped at 90mph in this mode and although Jaguar won’t release an exact figure, Williams engineer Paul Newsome did tell us that the batteries and motors weigh “easily more than the engine and gearbox combined”. 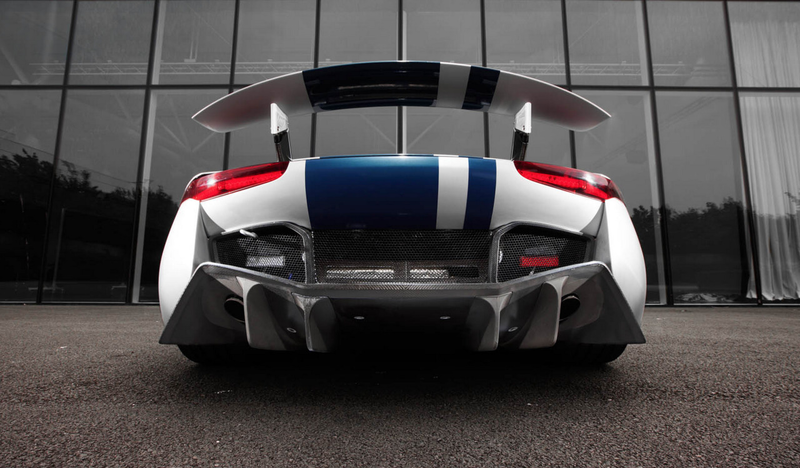 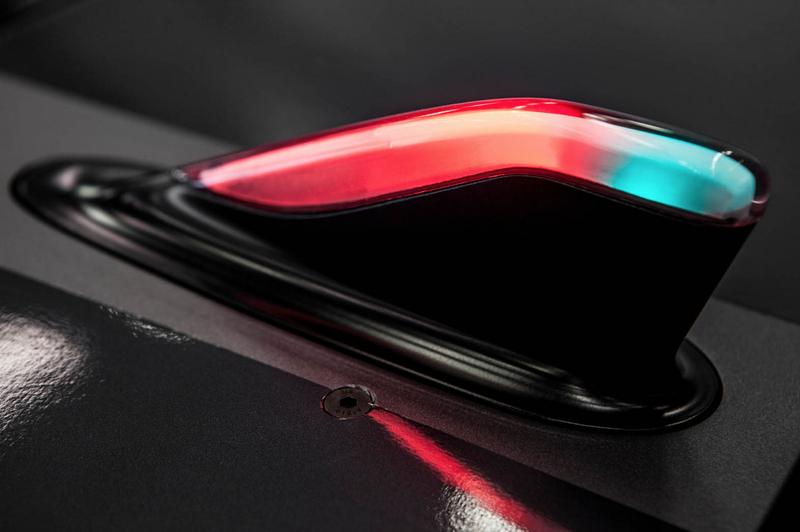 They were developed in-house by a joint team that included the KERS specialists from the Williams F1 team – who also helped sculpt the active aerodynamics that give the prototypes its stunning looks.